“I heard somebody say that ‘the brightest lights cast the biggest shadows,’ so honey, I’ve got to let you go, I’ve got to let you go”. …So croons the elegant folkstress Alela Diane on the title number from her forthcoming record, About Farewell. Over the last year, Alela has finished recording and mixing this new album, to be self-released in the summer via her own label, Rusted Blue Records. It serves as an eloquent goodbye to lovers from years past, coupled with some poignant last walks down memory lane. While the lyrics deal most directly with her recent divorce, the album explores her entire last decade of relationships with tremendous honesty and nuanced insight. These songs are somber and achingly truthful, yet always glimmering with her exquisite poetry. 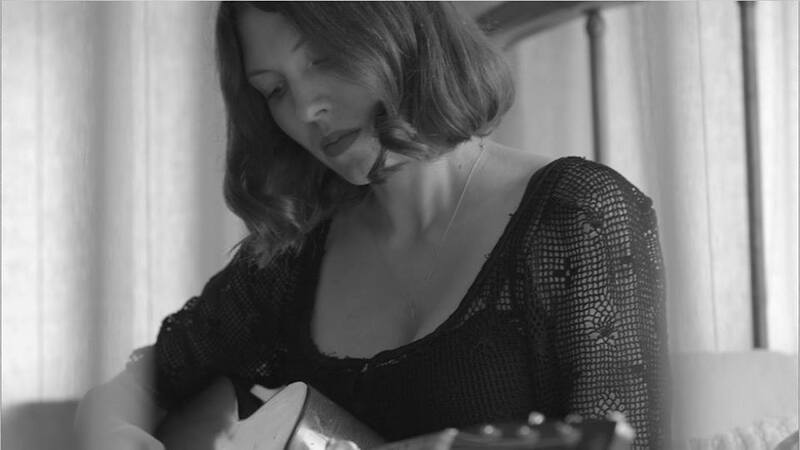 In these new songs, Alela’s staggering voice is able to take center stage, as she’s turned away from the full band that she last employed with Alela Diane & Wild Divine. The entirety of About Farewell was built around her voice and simple guitar arrangements. With an unprecedented level of creative control, Alela could explore her own ideas for harmonies and melodies and create a wholly unique piece of self-expression. While the record is a step forward for her in this way, it also represents a return to her roots as a songwriter. Hailing from Nevada City, CA, the homespun charms of her origin place have never left her. Alela’s first record, The Pirate’s Gospel, featured hand-drawn and hand-sewn sleeves. It is this handcrafted DIY aesthetic which is revisited anew, both in her decision to self-release the album, and in her self-possessed approach to recording. Alela laid much of About Farewell to tape with John Askew at Flora Recording Studios in her current home of Portland, Ore, in late 2011 and early 2012. Over the course of 2012 she enlisted the help of some very talented friends to flesh out the sound: Heather Broderick (Horse Feathers, Efterklang, Loch Lomond) arranging and playing piano and flute, Holcombe Waller arranging strings, and Neal Morgan (Joanna Newsom, Bill Callahan touring bands) playing drums. In early 2013, she finished mixing the album with John Askew at Scenic Burrows and Mix Foundry. We find these stripped-down folk songs to be a perfect vehicle for Alela’s impressive emotional range. She’s able to convey heartrending vulnerability at one moment, then bold wisdom and unflinching directness at the next. Nowhere is this palette so rich as in the live shows, an intimate treat for audiences lucky enough to catch her this year. In the season of spring, the heart has thawed and we turn to the promise of budding possibilities. A once-heartsick Alela has said her farewells, and now is the time to meet the new, more fully actualized woman.